Explores the mountainous region of Transylvania, leaving the stories behind to uncover a beautiful country with a rich and fascinating history. The region presents a splendid mix of mediaeval castles, high peaks, incredible wildlife, and of course - welcoming and warm locals. Steeped in tradition, it's easy to see where the inspiration for the tales came from. 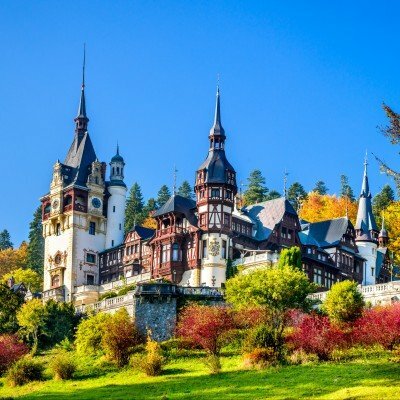 This wonderful seven-night guided holiday explores the mountainous region of Transylvania, leaving the stories behind to uncover a beautiful country with a rich and fascinating history; full of mediaeval castles, high peaks, incredible wildlife, and -of course- warm hospitality.